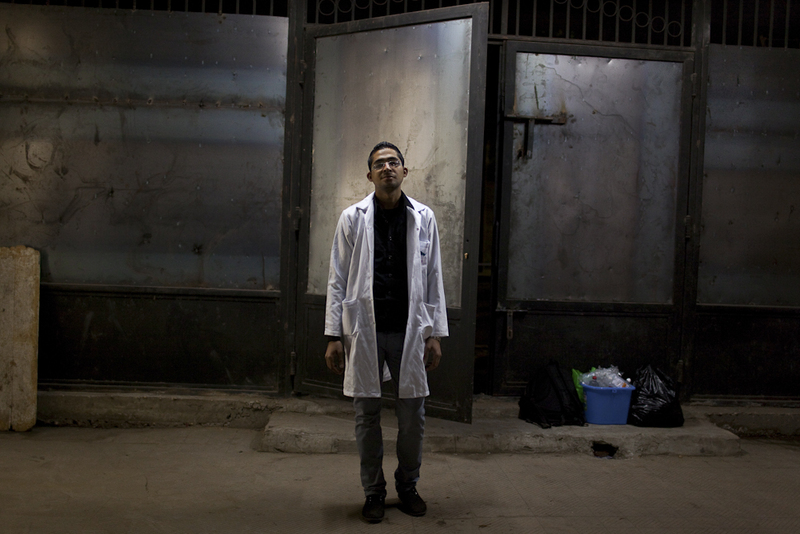 Dr. R, a lead doctor at makeshift hospitals during sudden uprisings. He was arrested by SCAF on Mohamed Mahmoud street early Dec. 2011, accused of interfering with government issues. He was blindfolded and taken to a military prison where he was detained for 26 days. Dr. R was stripped down, made to endure electric shocks and was badly beaten by the National Security. Cairo, Feb. 5, 2012.